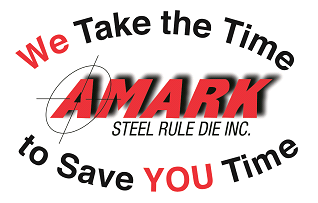 Technology | Amark Steel Rule Die Inc.
Everything starts in the design area. Amark can “reverse engineer” your sample or film with extreme accuracy with its digitizer if a drawing is not available. It can also custom design a part to fit a particular need. 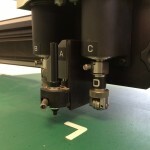 Amark has a plotter/sample maker which can generate full scale plots to use for stripping films. 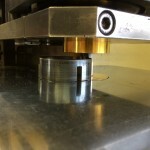 It can be used as a quality check or to make samples for customer approval. If you have your own design department you can send your design files to Amark via email. Sending a file saves you money and speeds up turnaround. We have a superb line of top quality, state of the art modern automated equipment. 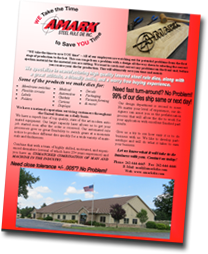 Our large capacity laser allows us to get your job started soon after the order is received. Our automated rule processors give us great flexibility to switch gears at a moment’s notice to produce different dies quickly for a wide variety of materials and thicknesses.